We are movie lovers! I cannot tell you how many films we consume in a week together as a family. It’s just what we DO. Today is a special day for people like us because we can all download Ralph Breaks The Internet on Digital HD as of RIGHT NOW. YEOW! 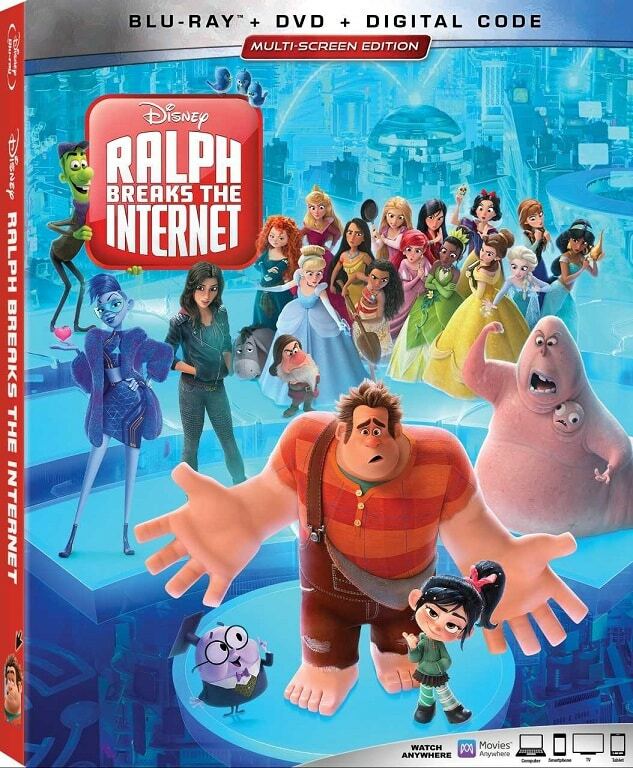 If you are someone who likes to own a hard copy in your hand, you can own Ralph Breaks The Internet on Blu-ray and 4K (affiliate) starting February 26th. YEOW! 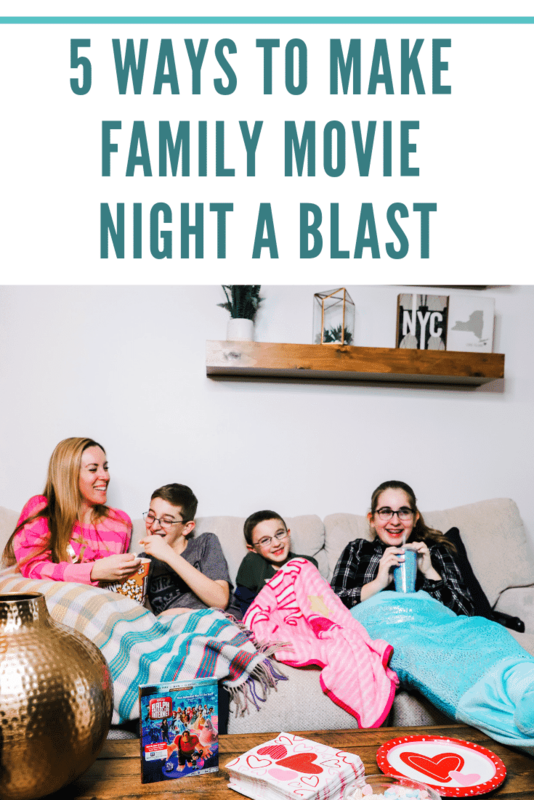 Looking to make it into a super cool family movie night? Don’t worry – I have you covered. Family movie nights are my slow jam. First up, everyone gets a blanket. We all need to be cozy and comfy and have ample room on the couch. We aren’t in the theatre and that’s the beauty of hosting a family movie night party at home. You can truly relax. What better way to relax than with your favorite plush throw? 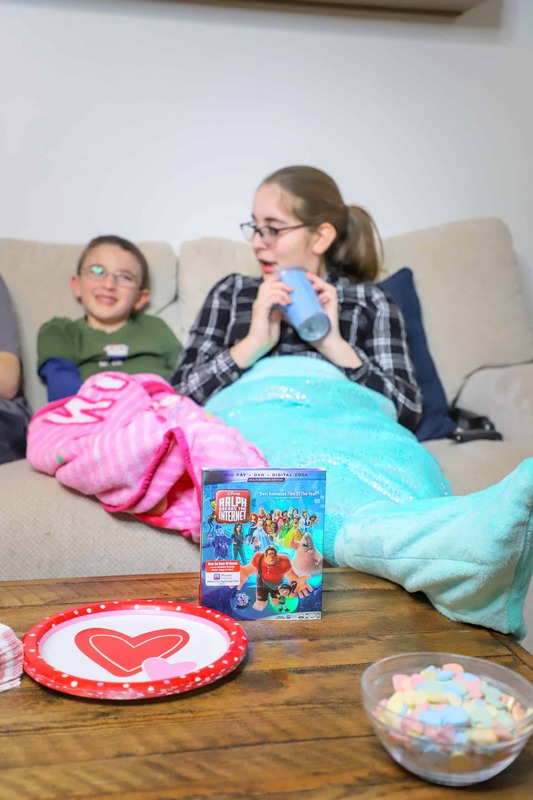 My kids rolled around in mermaid tails, Disney themed merch and whatever they found on the couch. You cannot forget the snacks. In a realistic world, you really only have a few options for the kids. So, I didn’t want to show a thousand different things on the table because that’s not what we do. We usually have something sweet and something salty. Everyone shares. We also make sure that everyone agrees on the movie. In this case, it was super easy. Ralph and Vanellope are crowd favorites! 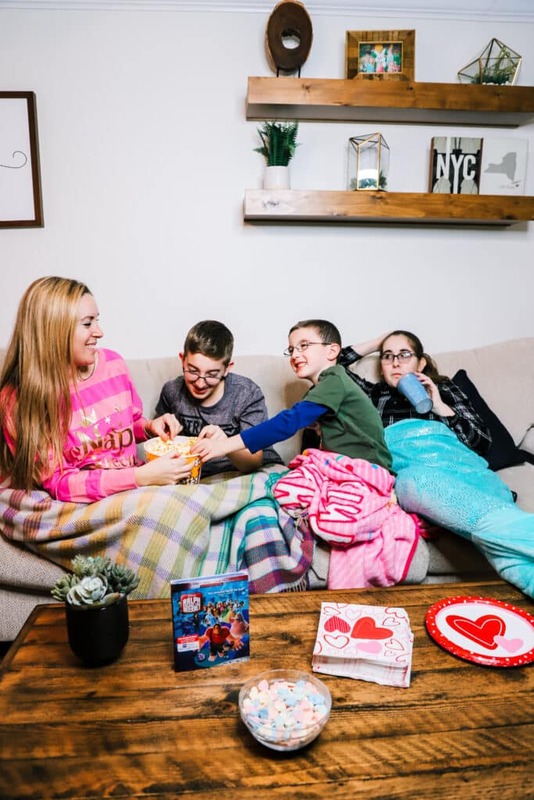 There was no fighting while gearing up for this family movie night. One less thing for mom to worry about. Thank you, Disney! Oh, my word. Get ready in style! I thought it would be fun to surprise the kids with pajamas from the movie. I didn’t tell them that my Nap Queen pajama set was from the movie and I KNEW they wouldn’t remember from when we saw it in the theatre. So, I just sat there in my Princess Aurora gear and kept really quiet until that famous princess scene came on. As soon as we were in the middle of it, the kids went wild. 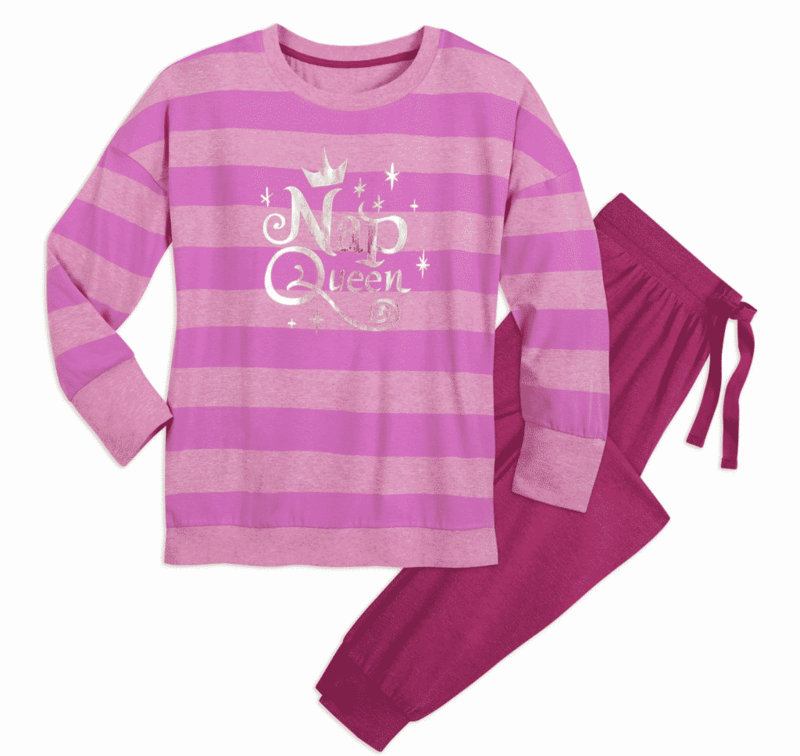 MOM, YOU ARE WEARING THE SAME PAJAMAS AS PRINCESS AURORA! Last but not least, make sure that there is plenty of chatter in between all of the punchlines. In the movies, you have to be absolutely quiet which I appreciate – don’t get me wrong. But at home, let your hair down a bit and have some laughs. Offer up some commentary. Pause the movie to tell a joke or two. Take a bathroom break. CHILL OUT. Split the movie up into two days if everyone is getting two tired. There is always tomorrow. Make the rules and then break them. As long as you are all laughing, making memories, and bonding, you are doing it RIGHT. The movie is the least important part of the night. 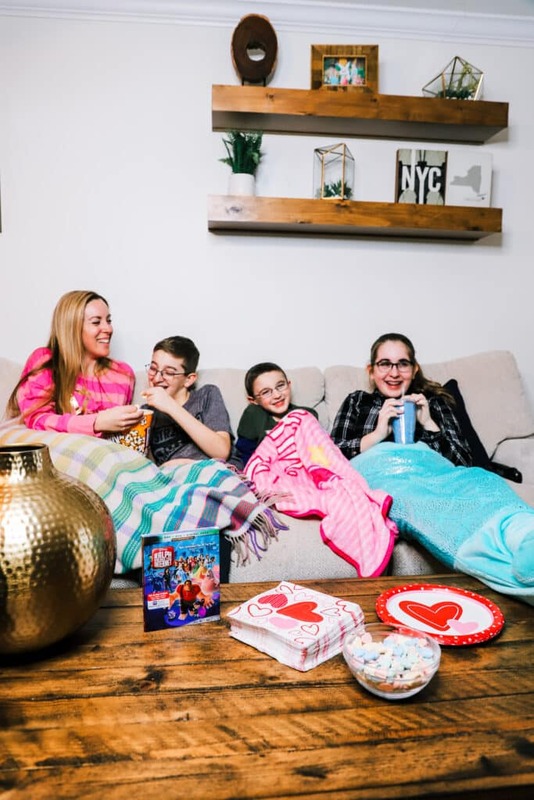 Family movie night starts with one word first… and that’s family. Be a family first. We have a hard fast rule. No fighting. During family movie night – it’s time to bond and relax. It’s downtime at its finest. Enjoy every second and if someone wants to rewind a great scene because they NEED to see it twice – let them. What’s the RUSH? Movies give us so MUCH – why rush through to the end? That’s the part where it’s OVER. Enjoy every second while you still have your kids at home… and do it with a bowl of popcorn in front of you as often as possible. Don’t forget. You can download Ralph Breaks The Internet on Digital HD TODAY. 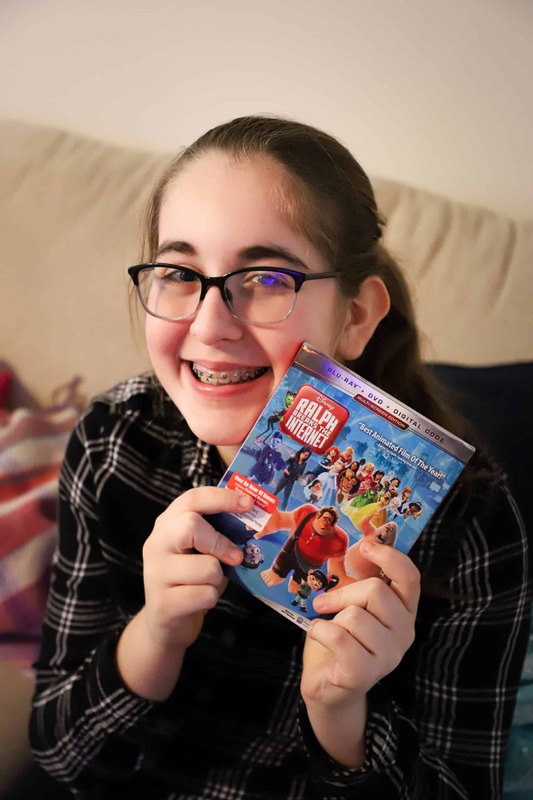 Or if you are someone who likes to own a hard copy, mark your calendar for 2/26 to snag the Ralph Breaks The Internet on Blu-ray and 4K (affiliate) instead. I partnered with Disney to attend the Ralph Breaks the Internet premiere. All opinions are my own.